The day-to-day business operations of companies’ across the globe have changed with advancement of technology and rapid digitalization. ‘Design’ of digital product influences business decisions and that’s the primary reason of need of ‘UX Designers’ in industry. Our programs in User Experience Design have been devised and designed by UX Industry professionals considering the needs of the job market. Our program in User Experience (UX) teaches how to design digital products that provide relevant user experiences. It is about understanding the needs of the users, creating a product roadmap based on these needs and then implementing the principles of UX design so that you get easy to use, simple product. The program includes valuable industry experience through projects, assignments and industry internships. 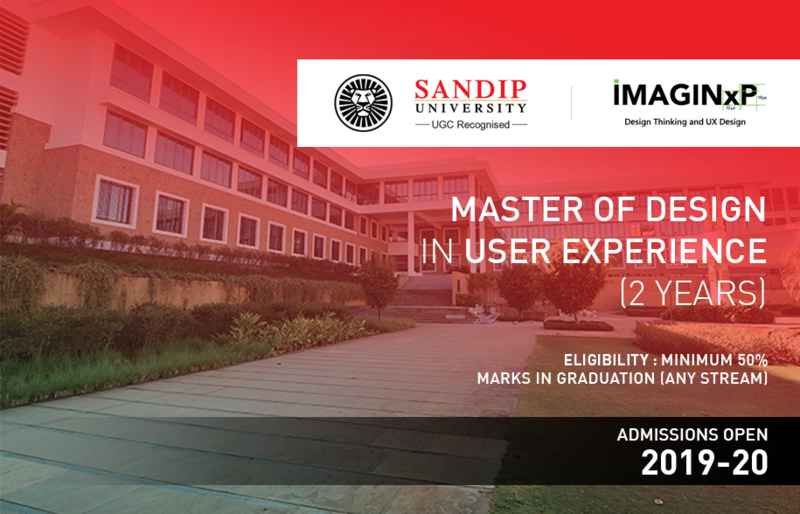 It’s taught by the best in-house faculty, accompanied with guest faculty from industry with expertise in UX. Minimum requirement 50% marks in graduation (Any Stream) from a recognised University. ImaginXP is India’s leading UX design and design thinking organization that has trained and certified 15000+ professionals in this field. With 11+ industries partnered across the country, ImaginXP trains leading corporate like nVidia, ITC, KPIT, Toshiba Mitsubishi and more. The courses that run at ImaginXP are approved by leading state governments and the organization is also the knowledge partner with NASSCOM and Facebook in its initiative of Design4India. With a total of 95+ faculty and collaboration for faculty exchange from leading universities in UX design like CIID – Copenhagen, ImaginXP is bringing quality design thinking and UX design education to India. The program offers 100% placement assistance; therefore, students looking for well-paying jobs in numerous fields can opt for these programs. There is wide plethora of jobs available for UX designers in industry segments like financial services, banking, insurance, media, education, hospitality etc. Further, the lack of credible UX courses has ensured that there aren’t enough UX designers. This disparity is an advantage to students learning UX design and design thinking. Given the practical nature of the program, the students will be ready to solve real-life problems and will be valuable assets to the industry segment they choose.